Scent is often something that is overlooked when we are choosing plants for our garden. We are captivated by flowers and colours and forget the added pleasure of fragrance. 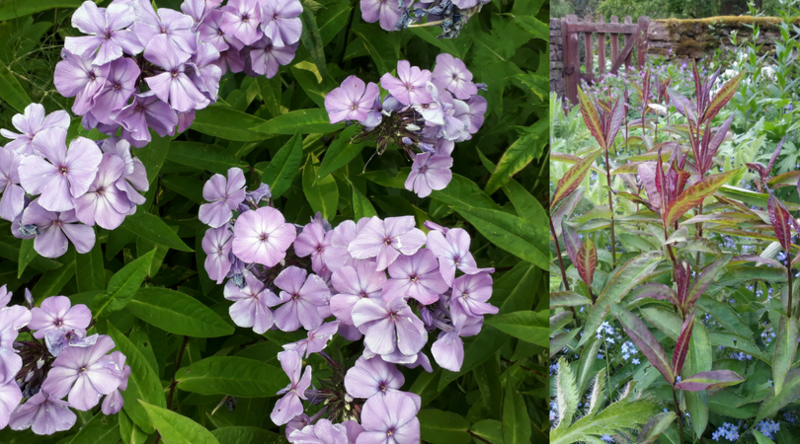 During this long, warm and dry summer I’ve been sitting outside in my garden almost every day and have been enjoying the perfume of my blue phlox Phlox paniculata ‘Blue Paradise’. This is a very hardy perennial plant that grows to 1.2m (four feet) high, dying back to the ground over the winter. 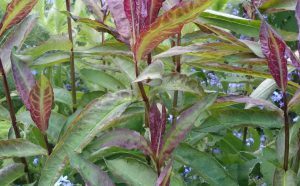 It emerges in April with distinctive purple stems and purple tinged leaves that are beautifully set off by blue Forget-me-nots. 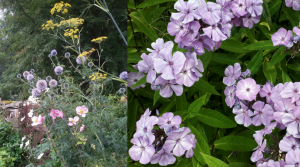 Protect young Phlox plants from slugs, but once established they need little care except to stake them in April/May to prevent them flopping over in strong winds or heavy rain. They flower for up to six week over July and August and look their best in the middle of a herbaceous border with other flowering plants and will grow in partial shade as well as sun; coping with damp soils and cold winters. Mine grows happily alongside Echinops ritro (Globe Thistle), Astilbe, Japanese Anemone, Bronze Fennel and Campanula persicifolia.